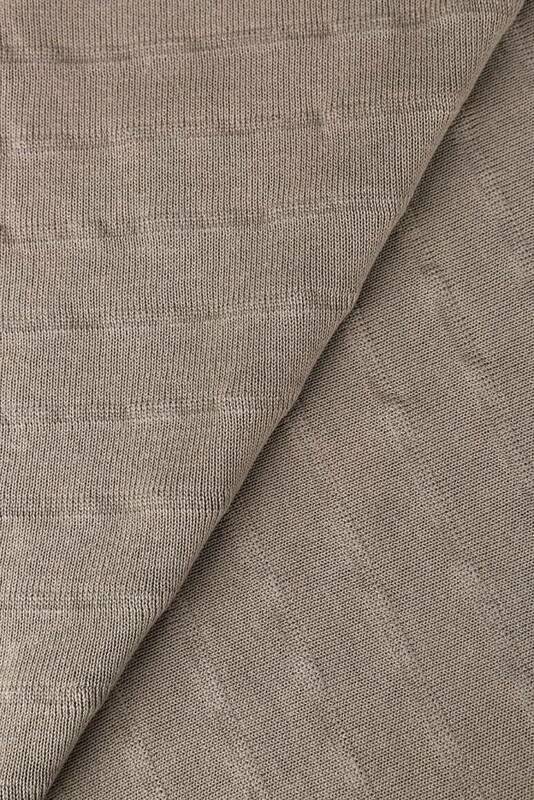 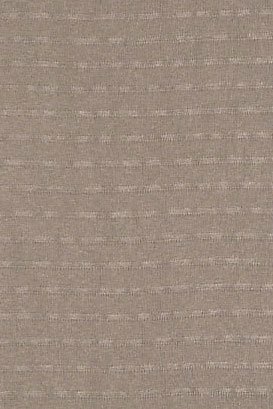 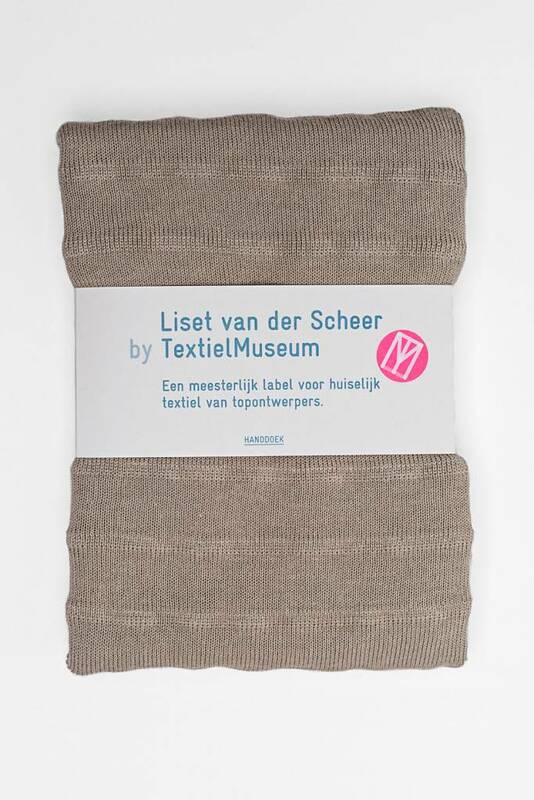 The design of this new classic was born of the capabilities of the TextielLab's computerised knitting machine. 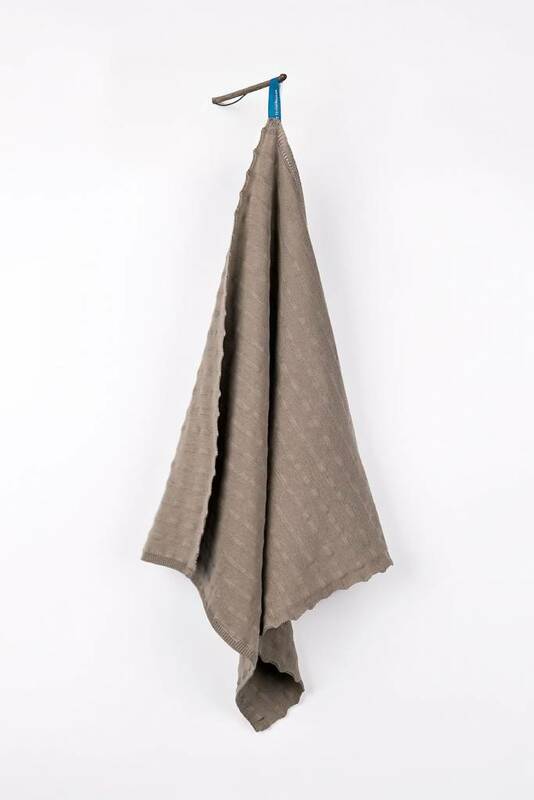 The basic desing ensures the product can be combined with any of the tea towels from by TextielMuseum. 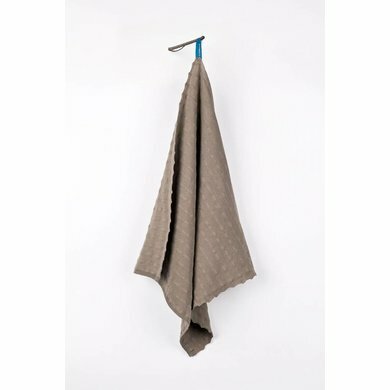 The hand towel is made up of a double knitted layer, significantly increasing the 'drying surface', while small holes knitted around the edge of the cloth add subtle detailing.